Militants from Al-Nusra Front (now Jabhat Fateh al-Sham) and Ahrar ash-Sham terrorist groups are sabotaging UN efforts, supported by Damascus and Moscow, to deliver humanitarian aid to eastern Aleppo, Russian Foreign Minister Sergey Lavrov said on Friday. He also noted that those terrorists have been preventing the exit of civilians from eastern Aleppo, as well as blocking the exit of militants who had expressed readiness to respond to the call by the United Nations to leave the area. The UN humanitarian agency on Friday said it is currently unable to conduct medical evacuations from Aleppo due to lack of security. The agency said it plans to use Days 3 and 4 of the four-day pause in fighting in the Syrian city for medical evacuations and aid delivery, but it is still awaiting security guarantees, AP reported. 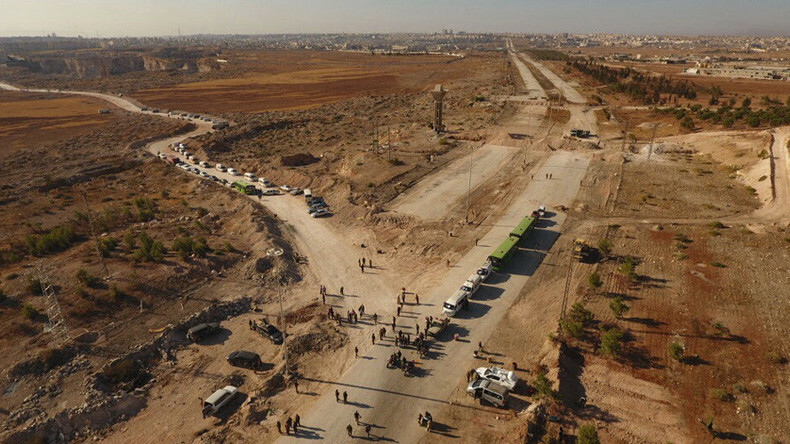 Syria's ambassador to the United Nations in Geneva, Hussam Aala, told Reuters the Syrian government had given the UN the green light for medical evacuations two days ago and had buses and ambulances ready. Evacuations, however, have not begun as militants have been attacking humanitarian corridors and crossing points with mortars and gunfire. Addressing the press, Sergey Lavrov also expressed concern that Al-Nusra Front militants have been unwilling to leave Aleppo, despite being given the chance. “We are very much concerned that, despite the goodwill gestures that Moscow and Damascus have undertaken, we see Al-Nusra Front fighters refusing to leave the city,” Lavrov said, noting that the same applies to Ahrar al-Sham, which has been expressing solidarity with Al-Nusra Front, although the West considers it ‘moderate’. Russia stopped carrying out airstrikes on eastern Aleppo on Tuesday in the hope that the break will lead to a complete ceasefire later in the week. A humanitarian pause began on Thursday, when six corridors were opened for civilians who want to escape the part of the city controlled by rebels and terrorists, as well as to allow for aid to be delivered. Two corridors have also been opened for rebels, who will be allowed to leave with their weapons. Later on Thursday, the humanitarian pause around Aleppo was extended for another 24 hours, Russian Defense Minister Sergey Shoigu said. 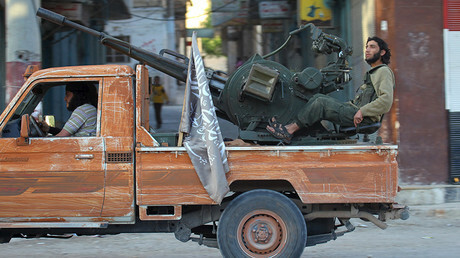 The move was met with full approval from Damascus. On Thursday, however, the militants opened fire on civilian evacuation routes, injuring three Russian officers at the El-Masharka government checkpoint, according to the Russian Center for Reconciliation. “With regard to the statements as to how the [US-led] coalition treats Al-Nusra Front, that Al-Nusra Front is not their target, these [statements] were not a revelation for us. For a long time now in the course of our regular contacts with US Secretary of State John Kerry I have been drawing his attention to the fact that the coalition has been working too guardedly against Islamic State [IS, formerly ISIS/ISIL]. But regarding Al-Nusra Front, we see that there are not only no results, there are no whatsoever attempts to suppress this terrorist organization,” Lavrov told the press, adding that there's a suspicion that there is an intention to preserve Al-Nusra Front as “the most combat-ready force” to overthrow the current regime in Damascus.